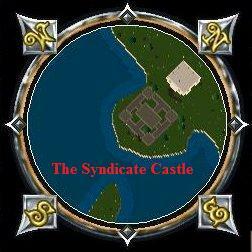 ATLANTIC—The Syndicate (LLTS) is one of Ultima Online’s oldest and largest guilds. Founded in February 1996, this historic fellowship has gained notoriety not only for its in-game presence, but also for its charitable work and accomplishments outside of the realm of virtual reality. As LLTS celebrates its 14-year anniversary, this author endeavored to learn more about the guild’s history from The Syndicate’s founder and Guild Master, Dragons. Presently, the Syndicate is perhaps best known for its weekly “Craftsman Day,” during which the guild furnishes a variety of free crafting services to Atlantians, including item repairs, crafting, enhancing, lockpicking, and more. Community outreaches like this one have often thrust LLTS into the spotlight, but the core of guild’s success runs deeper than community promotions, according to Dragons. He describes a “Perfect Storm” of events that allowed The Syndicate to develop a large, stable member base in a short period of time. Said Dragons, “while it would be ideal to say every bit of our success comes from careful planning and execution, it is more fair to say that some of that success comes from the reality of when we were founded and what the state of the online world was at the time, and its tolerance for allowing us to make mistakes, and learn from them, and grow. We were able to stand out from the crowd very early on and maintain and grow that visibility over the years. That is nearly impossible for a group to do today given there are millions of guilds in existence with thousands rising and falling each day. “Additionally, the drive to learn from mistakes and then not repeat them was a major player in our success. Creating a group of 625+ people, with dozens of game developers as members, contracts with development companies, our own studio with Prima Games to write strategy guides, featured in a movie, having a book etc., inherently means there were lots of [opportunities] to make mistakes. We have a firm commitment to analyzing mistakes that we do make and putting things in place to not let them happen again, if at all possible. The growth and success of The Syndicate is evident. Less evident are the challenges that the guild has faced throughout the course of its development. According to Dragons, the guild’s biggest challenge at one time was a high turn-over rate. In response to this challenge, LLTS was required to reconsider its recruitment process. Ultima Online has changed a great deal over the past 14 years, as has the Massive Multiplayer Online Role Playing Game (MMO) industry as a whole. The Syndicate has similarly evolved in response to these changes. Although The Syndicate’s core values of “Friendship, Loyalty, Team Focus and Guild First” have remained unaltered over the past decade and a half, the guild as an enterprise has developed into something of a trans-game, trans-genre organization. Beyond gaming, LLTS has involved itself in many real-world causes, including conducting charitable work, legally tradmarking and incorporating the guild, authoring books for publication by Prima Studios, hosting conferences for members and gaming industry professionals, serving as consultants for MMO development, and being featured in numerous articles, books, and documentaries. According to Dragons, it is endeavors like these, as well as the guild’s trans-game presence, that sets The Syndicate apart from other Atlantic-based guilds. Despite the guild’s ventures beyond the realm of Atlantic, Dragons affirms their steadfast commitment to the Atlantic community. In Dragon’s view, 14 years of existence is only the beginning and he looks forward to the future development of LLTS. 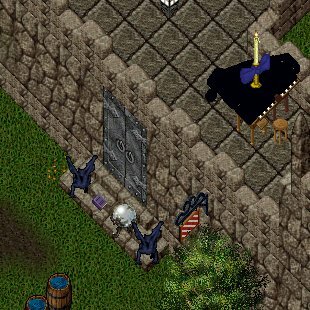 Dragons has played Ultima Online since its the pre-alpha test. His guild, The Syndicate, is celebrating its 14-year anniversary this month.